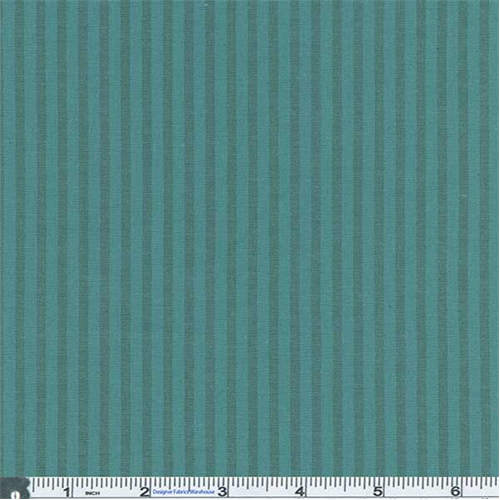 Semi-stretch Cotton Stripe Fabric By the Yard, Teal Green. Light pant-weight stripe woven in a plain weave with some spandex in the width for a bit of comfort. Semi-opaque to opaque, no drape, suitable for light casual pants and dresses - use a lining for more body or full opacity. Machine wash cold, tumble dry low, no bleach.